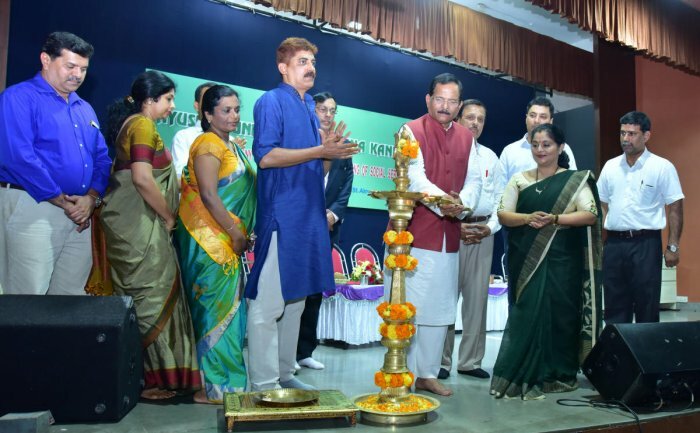 Awareness will be created among PU students about AYUSH by including the topic in the curriculum so that more students are motivated to take up studies in the field, Union Minister of State for AYUSH Shripad Yesso Naik said. He was speaking after inaugurating the installation programme of new office-bearers of AYUSH Foundation, Dakshina Kannada, at St Aloysius High School Auditorium here, on Sunday (11-11-2018). Appreciating the programmes initiated by the Foundation towards popularising the age-old medical practices of India, Naik said that the system of treatment under AYUSH (Ayurveda, Yoga and Naturopathy, Unani, Siddha and Homeopathy) mainly focus on the prevention of diseases. Owing to the efforts of Prime Minister Narendra Modi, AYUSH is reaching every nook and corner of thecountry, making people more aware of the benefits of the traditional healing practices, yoga, being the important one, he added. “AYUSH doctors do not feel inferior anymore as the Central ministry of AYUSH has formulated and implemented several projects such as the construction of AYUSH hospital in every district. The ministry has signed a memorandum of understanding with 15 countries towards research and cooperation in AYUSH. More than 13 universities have study chairs on AYUSH. In the coming days, the ministry will come up with Yoga parks in various districts,” Naik said. The union minister, meanwhile, called upon AYUSH doctors to learn Sanskrit to rediscover the ancient methods of healing inscribed in Sanskrit scriptures. Also, the AYUSH doctors should strictly follow their tradition in their practice, he added. Dr Gopala Krishna Nayak was installed as the new president of the AYUSH Foundation, Dakshina Kannada. Dr Santhosh Shetty and Dr Ravi Ganesh are the new general secretaries. 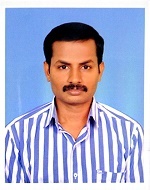 Dr Keshava P K is the treasurer. Social service projects of AYUSH Foundation were also launched on the occasion. Tulunadu Education Trust president Prof M B Puranik, District Ayush Officer Dr Mohammed Iqbal, District Surgeon Dr H R Rajeshwari Devi, Ayush Foundation Founder president Dr Ashajyothi Rai, General Secretary Dr Narayana Asra and Treasurer Dr Zainuddin were present.